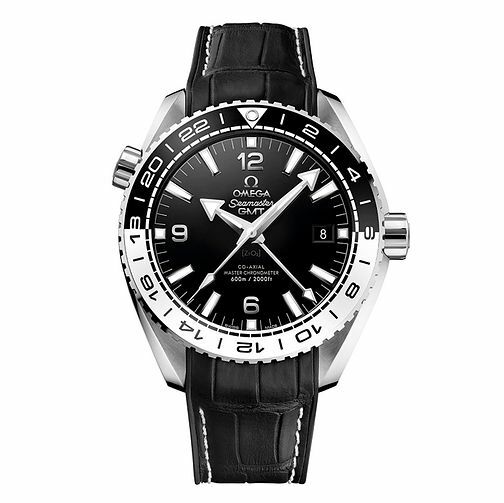 Sleek with a maritime inspired edge, this men's timepiece is part of the iconic Seamaster Planet Ocean 600m collection by luxury Swiss watchmakers Omega. Featuring a contemporary black leather strap with monochrome dial, unidirectional bezel, and date window. Powered by self-winding co-axial movement.